Apologies for terseness and typos in advance. The formatting is not conducive to the blog challenged like ourselves. As a guy who likes to build mouse traps but abhors marketing them; I’m told it must be done. +One of several people who made similar comments on my M&M panel contribution “uniqueness”. I am grateful for the kind words. + Two wealth managers have made clear their intent to sign up for the Lanci Gold Weekly (LGW) newsletter and Gold trade alerts for distribution to their own clients. That to me is a sign that Gold needs more and better active management. This is largely a polemic on the mining industry in general. There are some fantastic companies out there. There are also far too few that are priced anywhere close to their proper value. Only part of that is the industry’s fault. But it is entirely the responsibility of the industry to fix it. As some of you know, the industry is poorly represented by analysts, media, and frankly themselves. The Mines and Money conference cemented this as a mission. It was very disappointing that the miners did not take a great opportunity at a well run event to step up and do little more than ask for money and brag about their management team skills. None were able to answer simple questions related to: Competitors, technology, use of funds, upstream client contracts in place.. etc. If the conference had been in New Orleans and all a mine needed was Pom poms, that would work. But NY analysts and investors are sticklers for reality. And shockingly, there is no agreed uniform way for Juniors to differentiate themselves as low cost producers from discovery to actual production on time tables. That piece of info from an exec himself. Apparently quantification would banish speculation. We can’t have that it seems. And sadly that is what many mining representatives came across as: speculators hoping for a buyer if they are right. While they wait for the buyer, they take 15% of Project investment money to pay themselves off the top. One executive asked for $6mm for a project with between $700k and $1mm off the top for mgt! Then he actually said “that’s because we don’t take a salary”. 2- no idea of competitors or potential buyers of discovery. 3- replaces previous mgt who couldn’t raise capital. 5- owns equity on project, doesn’t get paid a salary... receives 15% of any money raised? Junior CEOs seem experienced at “failing upward” to me. As a person who started his career in equity research, I intend to go back to those roots. LGW intends to start picking though the mining rubble. We will evaluate and differentiate those mines truly undervalued versus those mines “undervalued” for good reason. 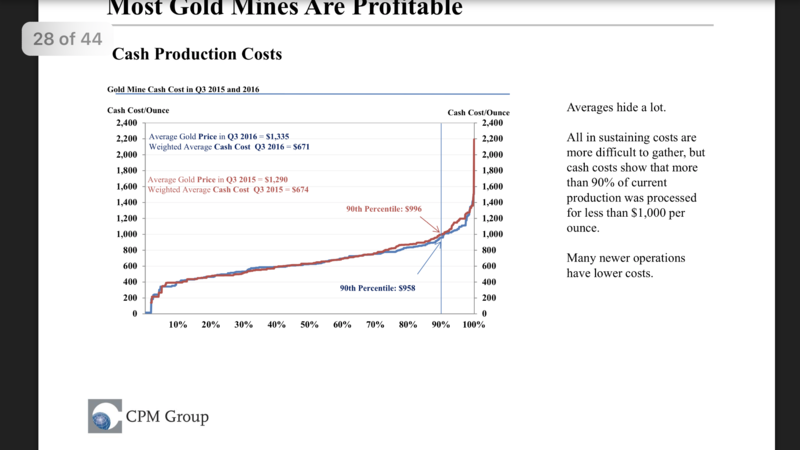 Hedge books, operating leverage, debt service, EBITDA and other concepts not addressed by the miners I had one-on-ones with at the recent Mines and Money NY conference will be addressed. The self esteem to not be put in the back seat by financial media outlets. These guys need PR badly. The industry despite its poor self esteem and Ouija Board cost controls is still profitable. We have no delusions of miners paying us to write pretty articles on them for pay either. Yes they do that; frequently offering private placement deals with “analysts” writing favorable “research” to their mailing lists. 1-New Content: LGW is in discussion with an equity systems developer to implement his proprietary “sell signal” equities model as a filter/ confirmation of our own gold alert system. 2- Collaboration: we are working closely with analyst Michael Moor on a trading project in Energy and Metals to be announced in summer. 3- Miners: in a few weeks we will begin coverage of the mining industry with fundamental analysis of companies. Gold is not viewed as an investment to us. It is money and as such you should have some as long as you are long the USD. Next, gold is a fantastic short term trading vehicle for profits. Prices are driven by emotion and sentiment more than any other asset. And if one ascribes to the “managed market” by the invisible hand as we do.. so what. 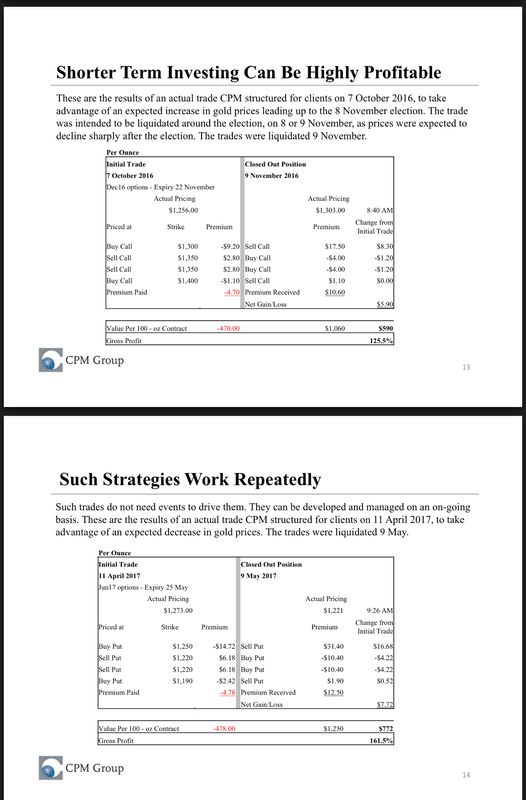 Active management is needed in Gold and Silver. Just don’t call it an investment. Investments have expectations of growth and added value. Mining companies are investments. Bullion is money disguised as a pet rock. Lanci Gold Weekly For May 20.